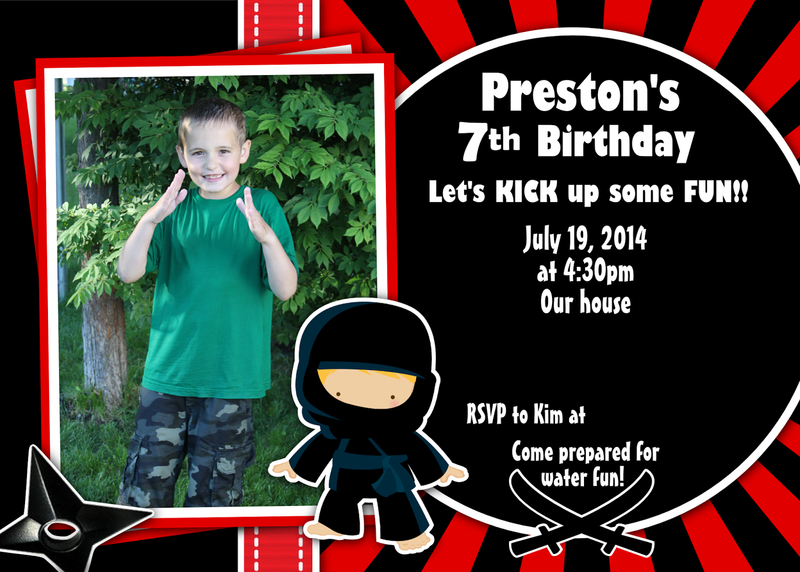 Life As I Know It: Preston's Seventh Birthday Party! Preston decided on a ninja theme this year! The kids raced around the yard, went swimming, jumped on the trampoline, took rides in Preston's truck, played on the water slide. It was chaos. Of the best kind! The seventeen or so kids in our backyard kind. Somehow this is the best photo I have of Preston blowing out the candles on his cake! Uncle Matt got attacked in the trampoline. Olivia got some pushes on the swing from her best Grandpa. I missed the second half of presents when I realized that I hadn't seen one of the little boys who had been dropped off since dinner/cake. I freaked out and searched high and low for him. Turns out that his Grandma dropped him off and his Dad picked him up but didn't think to tell anyone. We have a pool people! That was fun. Only not. Brad had his hands full with the swing and Olivia and Madison! The trampoline was a hit! I can't believe how many kids were on it. Plus Uncle Matt. And no one was hurt! Preston and Grandpa and Grandma! The birthday boy with his Aunties and Uncles! Fishing off the deck with his new fishing pole from Aunt Jen and Madison! When the party ended I busted my camera back out and made everyone take some photos. Three kids. One photo. Looks about right. Preston wanted to close his eyes in every single photo. So Aunt Jen got in on the fun with him! My big SEVEN year old! We had a great time celebrating Preston's seventh birthday with friends and family!